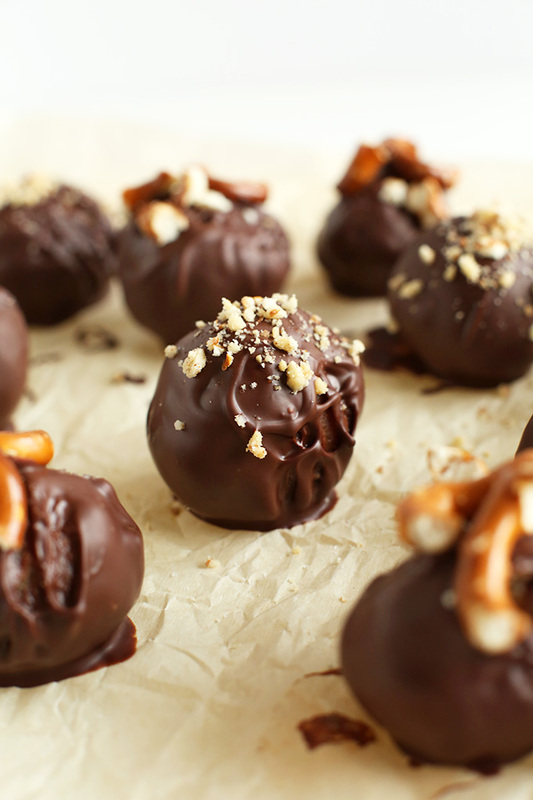 Peanut Butter Pretzel Truffles – 6 ingredients, salty, sweet and SO addictive. 7 Ingredient Cheesecakes! Creamy, luxurious, easy to customize, vegan, gluten free and refined sugar free! Plus, no special equipment required (Vitamix, springform pans, molds, etc. ), just whole food ingredients in a dessert you can feel good about. 5 Minute Vegan Hot Cocoa! Literally 5 minutes and just 4 base ingredients. 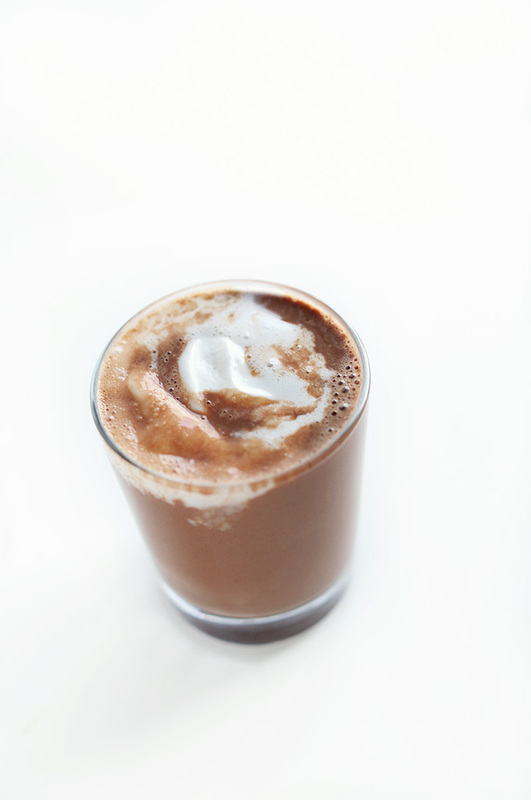 Add your favorite extract + coconut whipped cream and cuddle up to this hug in a mug. So delicious. 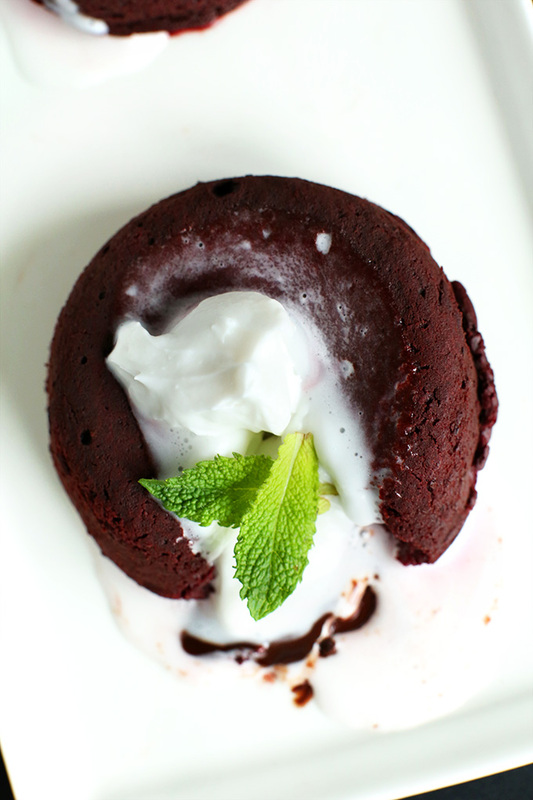 Chocolate Lava Cakes for 2! A secret healthy ingredient adds tons of health benefits and a deep red hue. Warm, chocolatey, oozing with flavor and so delicious (and romantic). 5 Ingredient Vegan Gluten Free Cookies! 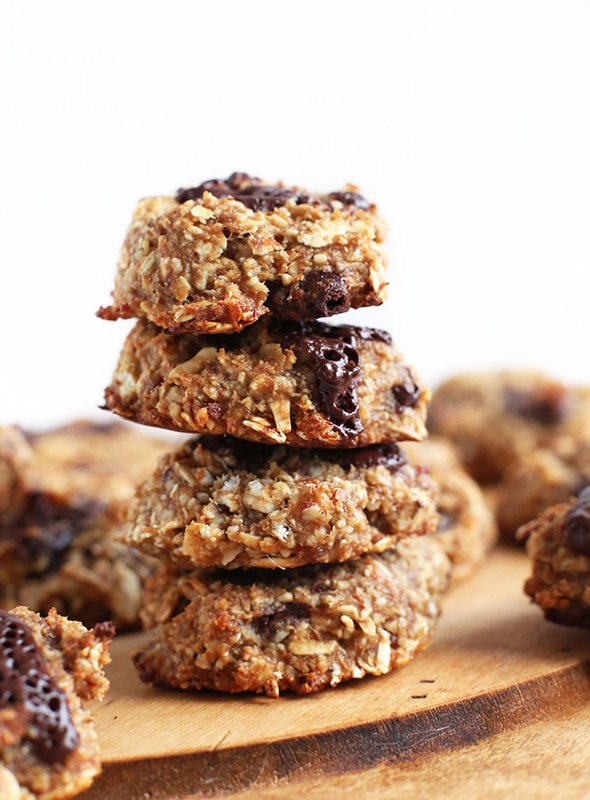 Dates, bananas, almond butter, oats, almond meal, that’s it! Add whatever you like from there – chocolate chips, dried fruit, nuts, etc. So healthy, so good. 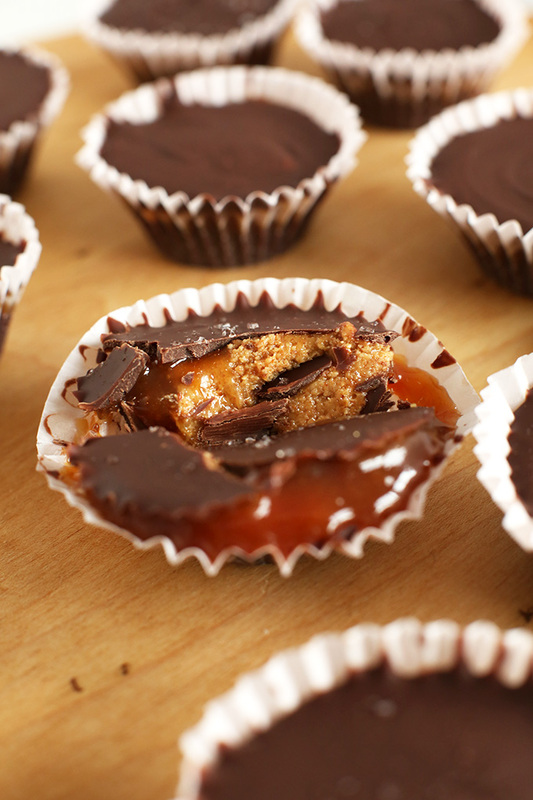 Bourbon Caramel Almond Butter Cups! So easy to make and incredibly satisfying and indulgent. Just chocolate, almond butter, powdered sugar and a simple bourbon caramel sauce. My new favorite “snacky” dessert. So you can always have 6 quick and easy vegan dessert recipes on hand. Cheers! 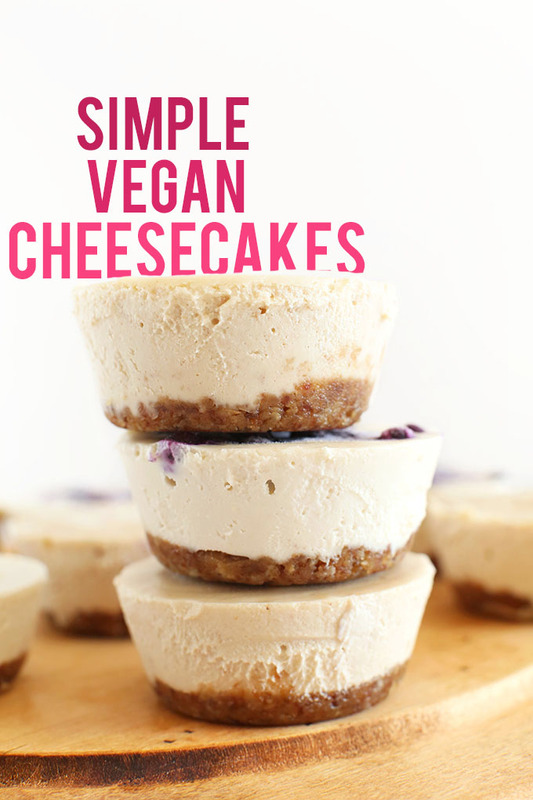 The vegan cheesecakes are amazing and so easy! But they’re almost too yummy. I can’t stop eating them! Lol thank you! I am confused. If these recipes are vegan what’s with the heavy cream in the boubon caramel sauce? Its the first recipe I checked they look so delicious! Maybe an oversight?